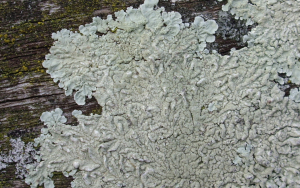 Observation - Flavoparmelia caperata - UK and Ireland. Description: Not too sure about this. I was only able to take a quick photo so identification attempted only using this photograph. Not too sure about this. I was only able to take a quick photo so identification attempted only using this photograph.